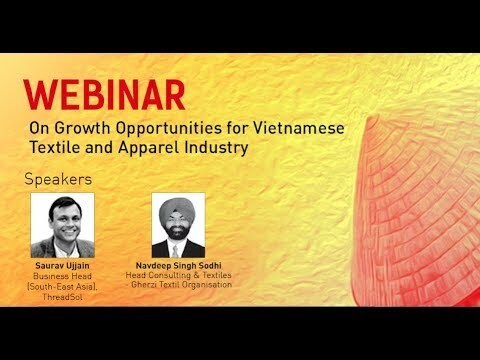 Stitch Diary organized a Webinar on the topic “Growth Opportunities in Vietnamese Textile and Apparel Industry”. The webinar was joined by our experts Mr. Saurav Ujjain (ThreadSol) and Mr. Navdeep Sodhi (Gherzi). The major topics of discussion were: The emergence of the textile and apparel industry in Vietnam Vietnam’s domestic T&A market Vietnam’s trade relations with other countries Effect of US-China trade war on Vietnam Role of technology and modern machinery in boosting Vietnam’s T&A industry The video is full of useful insights and questions asked by the attendees. If you have any questions, do write them in the comments section below.